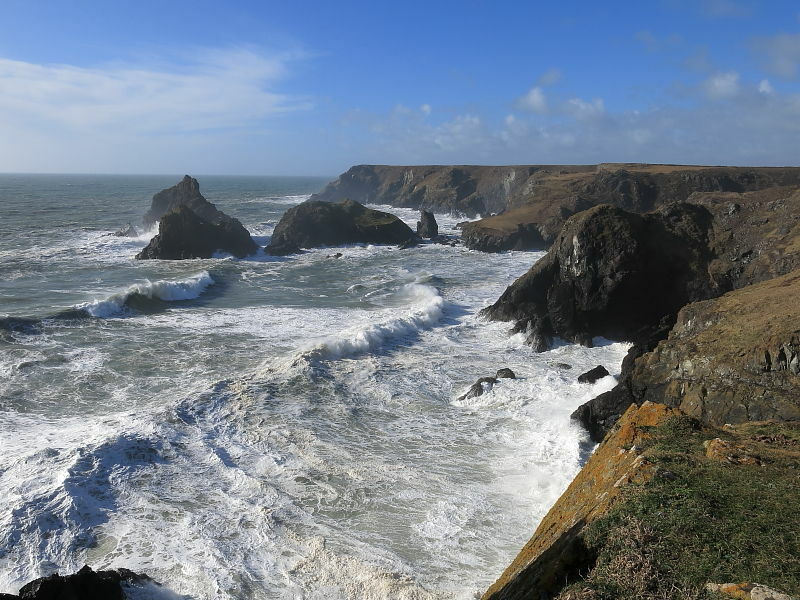 Well, what a ‘hurricane’ season this has been for Cornwall – weeks of heavy rain, gales, flooding and mountainous seas. And then suddenly, a brief interlude and 5 Peacock butterflies (inachis io) miraculously emerge from hibernation to bask in the sun. A little ray of hope for us and our other British Butterflies. After such a fabulous summer last year and a resulting bounce back in butterfly numbers we can only hope that this wet and mild weather will not have a serious impact on our moths and butterflies. 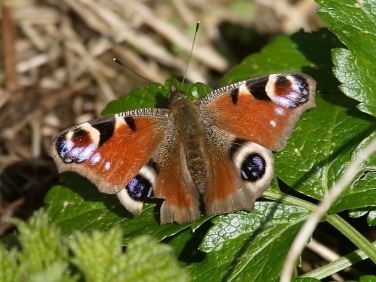 The 5 Peacocks and one Tortoiseshell butterfly were seen on the Lizard Peninsula at Porthoustock and Church Cove. The Lizard rarely has frosts and has the most southerly coastline in the UK. It is often here that the earliest resident butterflies are seen in the British Isles. They are also often the first places that migrant butterflies, moths and birds from the continent are recorded. 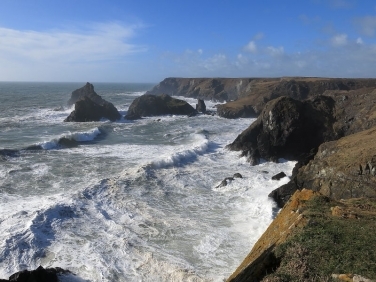 The image of big seas was taken at the nearby, normally tranquil and stunningly beautiful Kynance Cove.